← Classic sports have military roots. They may be short, but it’ still buckshot at 1200fps. Not much recoil to speak of. 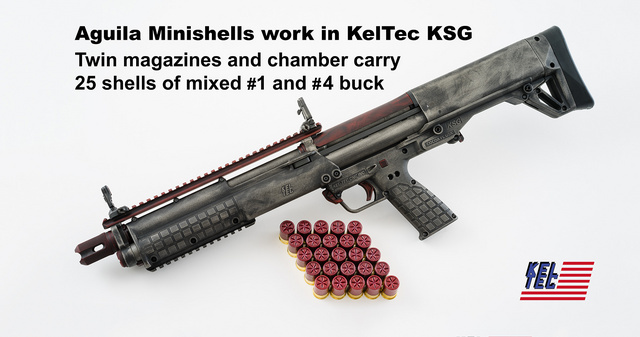 Numerous reviews mentioning use in a KSG (in my experience, each tube holds 12 shells, one review mentions 11). Now to actually find these shells and also mini slugs in stock somewhere! This entry was posted in ammunition, shotgun and tagged bullpup, keltec, KSG, pump action. Bookmark the permalink. Shotgun News often has the stuff people ask about in the ads.